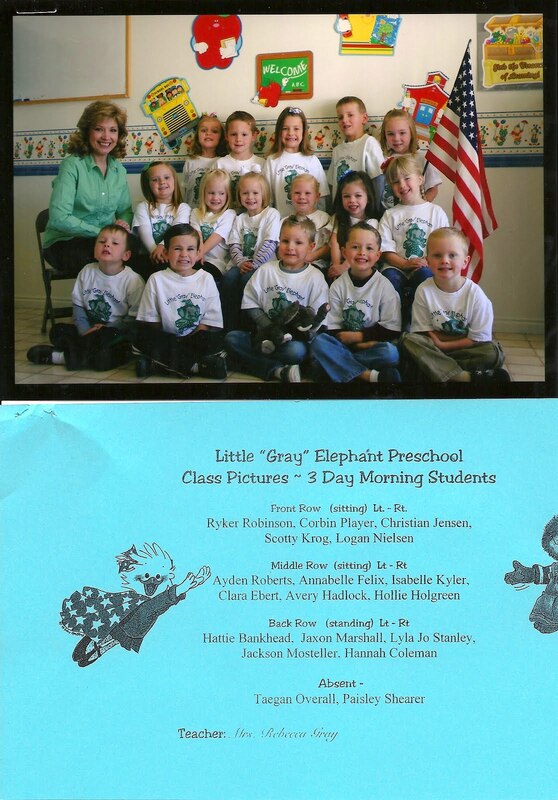 Clara attended 'The Little Gray Elephant' pre-school for the 2010-2011 school year. She had her ups and downs, but we made it through to the end! 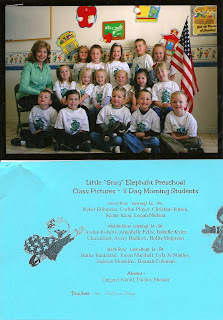 The class she was in was for 4 year olds entering Kindergarten, so she was a year younger than all the other students (part of the 'downs' that I mentioned earlier). 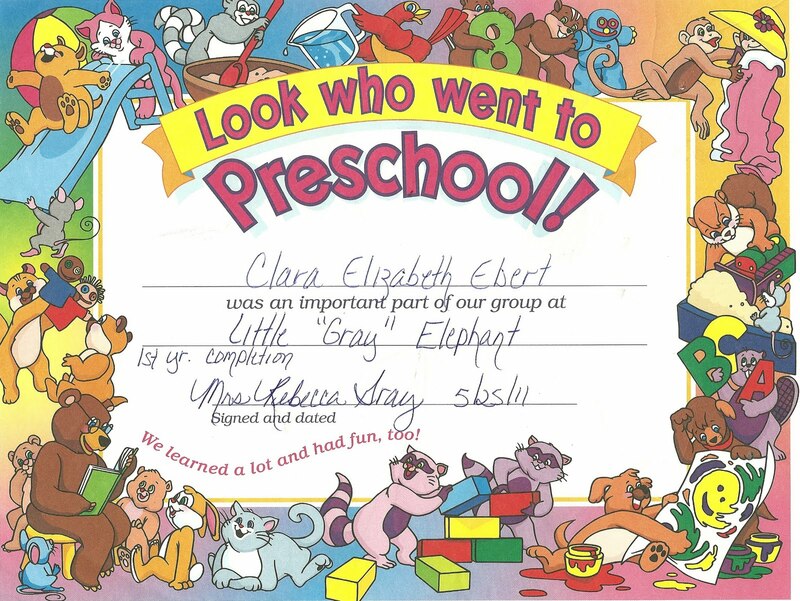 But that meant she got to participate in graduation (definitely one of the 'ups') even through she still had another year of pre-school ahead of her. She was in charge of leading the Pledge of Allegiance at the ceremony and did a wonderful job! 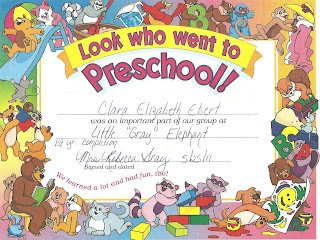 We love you Clara and are proud of you for sticking out the good, the bad, and the ugly of a whole year of pre-school.